AYPO Tech's continuing education courses for water operators are designed to give comprehensive training on a diverse set of topics. 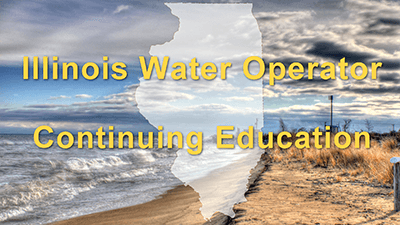 The continuing education courses here provide water operators in Illinois with the continuing education units (CEUs) they need to renew their license. 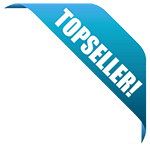 You can find us on the Illinois Training Provider List as @YPOTech. Our Illinois Enviromental Protection Agency Provider Number is 1033. What are the CE requirements to renew an Illinois water operator certificate? Our online courses listed below meet the topic requirements set forth by the Illinois EPA for Drinking Water Certifcate renewals and can help you renew your certficate today. Save on our 30 Hour CE Package. It includes: Surface Water, Source Water, Disinfection, Corrosion, Membrane, Water Distribution Overview, Pipelines, Meters, Storage Tank, and much more. Save on our 15 Hour CE Package. Includes: Surface Water (3 Hours), Source Water (2.5 Hours), Coagulation (3 Hours), Disinfection (2.5 Hours),Oxidation (2 Hours) and Membrane Processes (2 Hours). This course will fulfill 2 of your required hours for Illinois water operators. @apotech 10/31/2021 5674 Source Water Treatment Plant Operations 180 Renewed 8/31/18 pc At Your Pace Online. Discusses various surface water treatment processes and the role they play in producing safe drinking water that meets Public health and US EPA requirements. Reapproved 8/25/15. @apotech 10/31/2021 5675 Source Water Issues and Pretreatment 150 Renewed 8/31/18 pc Outlines the various source water types and the important role they play. Reapproved 8/25/15. @apotech 10/31/2021 5676 Coagulation and Flocculation 180 Renewed 8/31/18. pc Focuses on the crical role that parcle combining and mixing play in the surface water treatment process and how necessary they are in producing safe drinking water that meets Public Health and US EPA requirements. Re-approved 8/25/15. @apotech 10/31/2021 5677 Sedimentation and Filtration 180 Renewed 8/31/18 pc Focuses on the crical role that parcle removal plays in the surface water treatment process. Re-approved 8/25/15. @apotech 10/31/2021 5678 Disinfection 150 Renewed 8/31/18 pc Focuses on the crical role that pathogen inacvaon plays in the surface water treatment process. Re-approved 8/25/15. @apotech 10/31/2021 5679 Corrosion Control 180 Renewed 8/31/18 pc Focuses on the importance of maintaining properly balanced water as well as various types of corrosion control methods for the protecon of distribuon systems. Re-approved 8/25/15. @apotech 10/31/2021 5680 Advanced Oxidation and UV Disinfection 120 Renewed approval 8/31/18. pc Introduces water treatment and distribuon operators to the operaon, uses, and types of advanced oxidaon and UV processes including ozonaon and UV treatment Re-approved 8/25/15. @apotech 10/31/2021 5681 Membrane Processes 120 Renewed 8/31/18 pc Introducon to operaon, uses, and types of membrane processes including reverse osmosis, nanofiltraon and electrodialysis reversal. Re-approved 8/25/15. Thank you for your interest in our DW operators.